I’m Tired… But Inspired – I kinda feel like I have just had a hard workout and I am totally feeling it.. but in a good way. Know what I mean? I wish I could unpack everything that God has done in my heart through this whole week, but it would take more than a few minutes. I know that God has grown me… and our Church. I might be tired, but I’m stronger because of it all. I hope you are too. Pray for Pastor Brian – As he was leaving to drive back to Bozeman last night, Brian shared that he was starting an 8 week series on Romans. He’ll be preaching the first message tonight, so if you don’t mind, would you take a moment and ask that God’s hand would be upon him in it. So Thankful For Our Volunteers – Our services have been so amazing, and one of the reasons is because so many volunteers have been willing to serve behind the scenes so that others might encounter Christ! The maturity of their lives overwhelms me. I am humbled to be able to serve together with them. Saying “Yes” At The Crossroads – This is a crossroads moment for our Church and I am praying that we, as individuals and as a body, will not walk away from this moment with “sadness”. May we courageously and selflessly say “Yes” to His invitation. The cost of saying “No” is just too high! One More Night – Tonight will be the finale of an amazing week. God has done such incredible things, but we must understand the “WHY” behind it all. He has a purpose behind everything that He has done this week, and now it’s time to move from Mountain Top to Valley… from Preparation to Perspiration. We’ve got a job to do. We are still going and God is continuing to move in awe inspiring ways through our IGNITE services. I simply can’t thank Him enough for inspiring us to do this. It is too small a thing… – As I was praying for our City Churches last night, the Lord spoke very clearly to me. “It is too small a thing for the Churches to only believe me for your city… I want to use you to touch the World.””But you will receive power when the Holy Spirit comes on you; and you will be my witnesses in Jerusalem, and in all Judea and Samaria, and to the ends of the earth.” (Acts 1:8 NIV84)God is calling us to reach Great Falls, but that can not be the end of our vision. We must believe God for the “ends of the earth”! 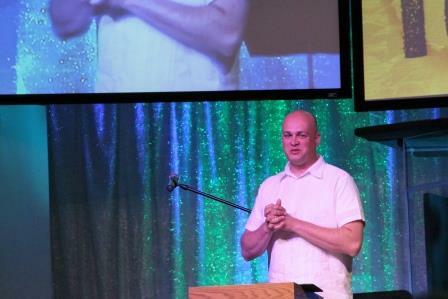 Looking for my socks – I don’t know about you, but I needed to hear what God spoke to us through Pastor Hart last night. I needed a reminder that God can do more than we can even ask or imagine… The message hit me right in the heart. “The Multi-Breasted One” – Pastor Gary shared that on of the names of God carried a meaning that He had a multitude of avenues to supply our lives. He does not just have one source, but He has unlimited resources and unlimited ways to pour out those resources to us. He is enough for us, whatever we need. More Than All We Ask – Our Church is starring a Huge Need right in the face… and we are asking for God to meet it. It is so encouraging for me to know that God can do even beyond what we are asking Him. Who knows… maybe we’ll have enough for Phase 2 as well! We Have To Release Our Faith – This campaign is not an obligation, it is an opportunity. It is an opportunity to see God move in our lives in ways that we can’t even “ask or imagine”. This is an opportunity for us to release our Faith and see God show up. It is an opportunity to experience God like we’ve never experienced before. I can’t wait to hear the stories of God’s faithfulness in response to our steps of FAITH! 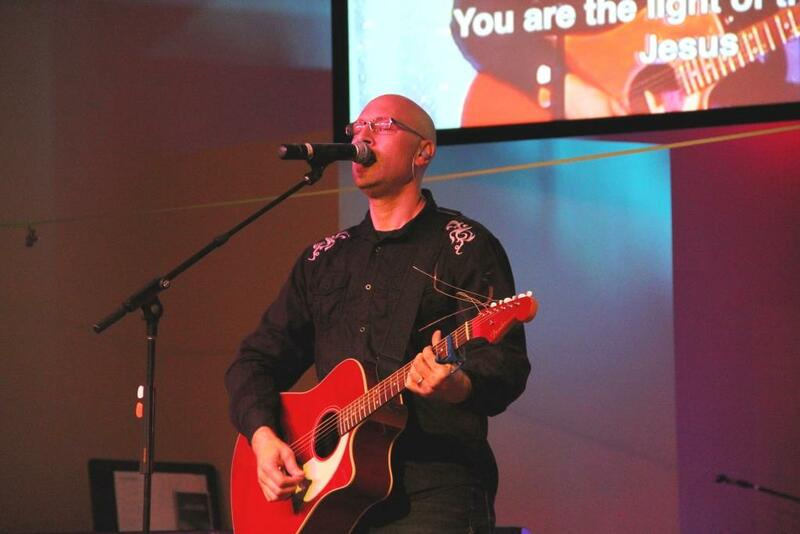 Tonight’s speaker is Pastor Brian Hopkins, the founding Pastor of Journey Church in Bozeman, MT. He’s an incredible leader, a fantastic husband and father, and a good friend. I am excited about what God is going to do in all of us tonight through him! After four nights of IGNITE, it is clear that as we position ourselves to encounter God, His power is transforming lives. We are experiencing TRANSFORMATION. Found People Find People – On Sunday Night, I watched as a broken young man walked to the front and poured out His heart before the Lord. It was an awesome moment watching God working in a life. But last night, I watched as that same young man led a friend down the isle to encounter God. That is the HOPE OF THE GOSPEL! “I DON’T WANT THIS TO END!” – It is exciting to me to have heard this phrase from so many different people over the past day or two. You know that God is moving when His people don’t want to leave His house! I know this can’t last forever, but I am enjoying every minute of what God is doing! It’s NOT about my empire, but about His Kingdom – This was a such a great reminder to me about the “heartset” that I need to have in regards to my life. If God really is God to me, then His Kingdom comes first… If my empire comes first, then God’s not God, I am. Different Speakers, Same God and Same Truth– Isn’t it interesting how different each of our speakers have been? We have had four very different men come and share God’s truth with us, yet God has moved in amazing ways through each one. It doesn’t matter who you are… God can use you if your surrendered and committed to Him. A Special Surprise For Pastor Gary Hart Tonight – I have a little something up my sleeve to make Pastor Gary feel right at home here at Harvest Springs. You won’t want to miss it! 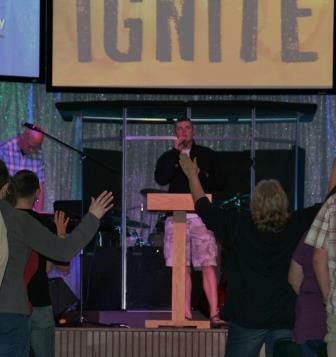 Pastor Cory will be bringing an important closing message on Saturday Night, the final night of our IGNITE services. “Coming Down Safely From a Mountain Top Experience” will be the subject of the evening. Sunday Morning will be our “Commitment Sunday” and the culmination of our ADVANCE Campaign. Please be in prayer about how God may be directing you in this effort. Tonight is Pastor Gary Hart (Victory Church) and tomorrow night is Pastor Brian Hopkins from Journey Church in Bozeman. Both are incredible men of God and dynamic, life-giving Pastors. Be in prayer for them as they minister to us! 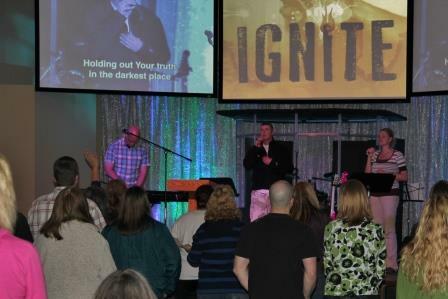 If God doesn’t do another thing through our IGNITE services, I would still be able to say… without reservation… that He has done above and beyond all that I could have imagined. I wish I could say that I was “filled with faith”, but the reality is that my Faith was small… mustard seed small. Good thing MUSTARD SEED sized faith is enough!!! God has moved MOUNTAINS! The Fruit of Revival – When we put the plan together for our IGNITE services, we believed that God wanted to move in a greater way in His people! We believed that God was going to REVIVE His people for His work in the world. Little did we know that God would use this time to sweep so many people into the Kingdom! 5 more people made Christ their Lord last night. Whoo Hoo! The Next Generation of Leaders – When I looked down my row last night (from my second row seat) I saw a whole host of vibrant, passionate and committed young adults. These guys have been showing up every night, siting right in the front, and going after God’s heart! I am so excited to see what God does, in and through this group. God’s raising up some quality leaders who are going to make a huge impact on this world! Living In The Past Move of God – One thing that stuck with me last night was how easy it is to glory in the past moves of God, rather than prayerfully pursuing His next move. We certainly have to celebrate and be thankful for what He has done… but it can’t keep us from asking and believing Him for greater moves of His Spirit in the future. We must keep pressing forward! SUN STAND STILL – Guys, the ADVANCE campaign is a “Sun stand still” kind of moment. It is so far beyond our ability to accomplish that it must be a God thing! Let’s believe Him for all that we need!!! Finishing Strong – We are now entering into the key stretch of our services… Days 4-5-6. We have started out strong, but it is so important that we FINISH STRONG. It is tempting to let our intensity level drop, but this is where our intensity must increase. These next 4 nights will be where many battles are won or lost! Let’s Win! Let’s be victorious! Pastor Bryan Baker bringing the Word. Gotta Love the Haircut! How sweet have the last two nights been? I can’t even begin to express the excitement I have in my heart at what we are seeing God do in our Church through these services. 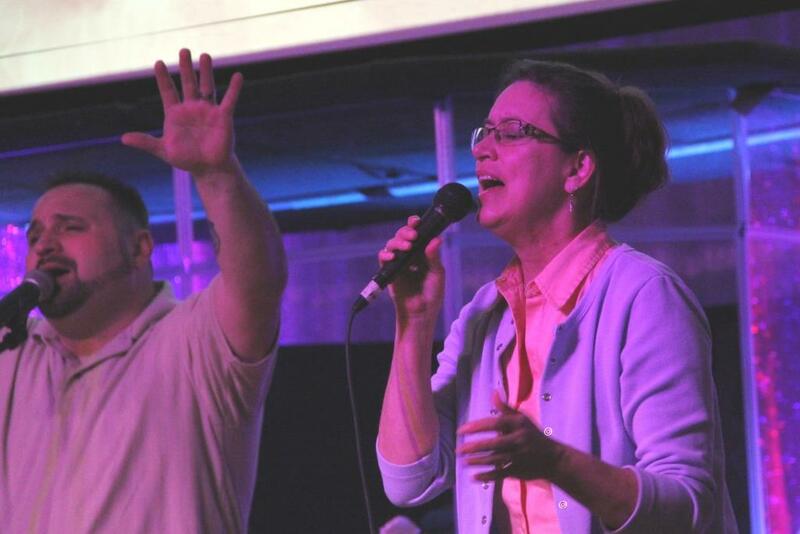 People are coming… Lives are changing… Christ is being exalted! We are witnessing an awesome move of GOD! Great Falls is blessed to have some INCREDIBLE Pastors! 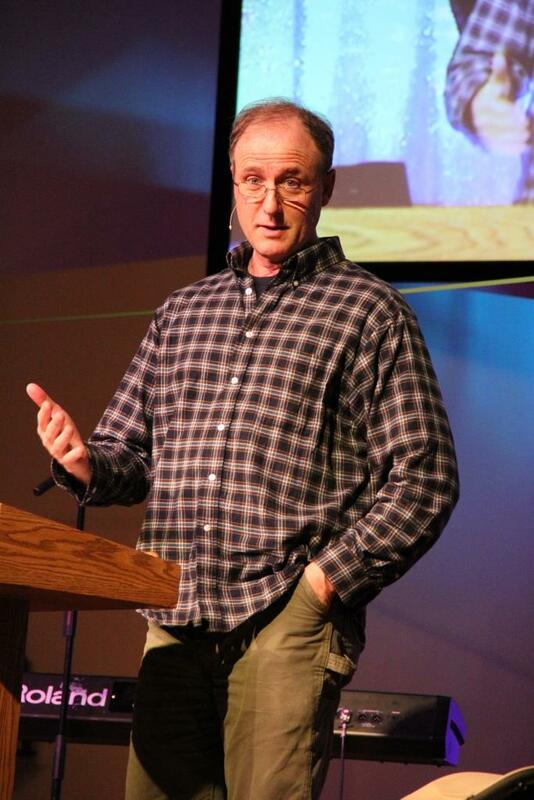 – Pastor Bob Johnson (Pastor at Great Falls Christian Center) was so good last night! I loved his transparency, his humility, and his love for our people and our church. He truly is a man who has heart for HIS (Christ’s) Church, not just the one he pastor’s. We all got a taste of just how blessed we are, as a city, to have such Godly men as spiritual leaders in our midst. People Gettin’ Saved! – Can you believe that 10 people (possibly more), made decisions to follow Jesus last night… and it was a message on GIVING! Ha ha! Eat it satan! Giving is a Privilege – One of the points from last night that struck deeply with me is how much of a privilege it is to be able to participate in God’s work through giving. I pray we all recognize that this is an incredible opportunity to be a part of God’s work in the world. What We Are Doing May Not Be For Us – The story Pastor Bob shared about how people would plant rows of trees years and years before the construction of a Cathedral so that at construction time, there would be timbers available for the project, simply blew me up. Who knows… we might only be planting trees for those who will come behind us to build something beyond even our wildest imaginations. If that is the case, I’m gonna plant as many trees as possible so that those who come behind us can have an abundance of resources to build away. Whose with me?! God is doing such awesome things in our Church. I finally understand what they were saying when it says… “And everyone was filled with awe…” Acts 2:43 I AM IN AWE! Tonight is Night 3 and our Speaker is Pastor Bryan Baker, Lead Pastor at Big Timber Evangelical Church and the founder of Montana On A Mission, a non-profit ministry involved in economic development and eduction in the Philippines as well as the US. Plus… he’s a great friend and spectacular guy! 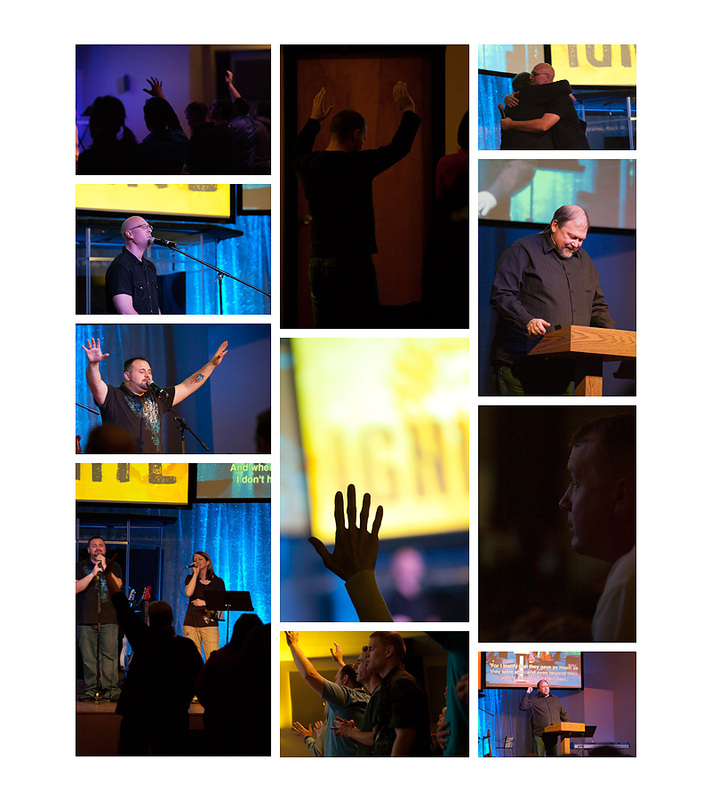 Here are a few images from our night last night!